This is quite cool. It apparently was a special shot for television. At its heart is an intimate live performance in a club. Nelson is joined on stage for several songs by none other than Ray Charles. It’s not the most obvious collaboration that you’d think of, but somehow it works quite well. The music here is excellent and the video and sound are both quite good. Of course, since this was shot for TV, that makes sense. 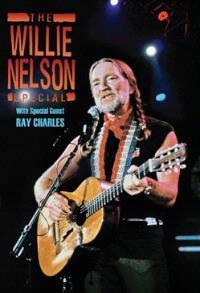 This comes highly recommended to all fans of Willie Nelson. While Ray Charles isn’t on the whole thing, I’d have to say that his fans would be very pleased to own this, too. The truth is, if you like this kind of music you can’t go wrong. It’s the real deal and features some magical performances. This was available before on VHS, but having it on DVD should be a step up.